Mikel’s return to training comes about 60 days after he sustained an abdominal strain. 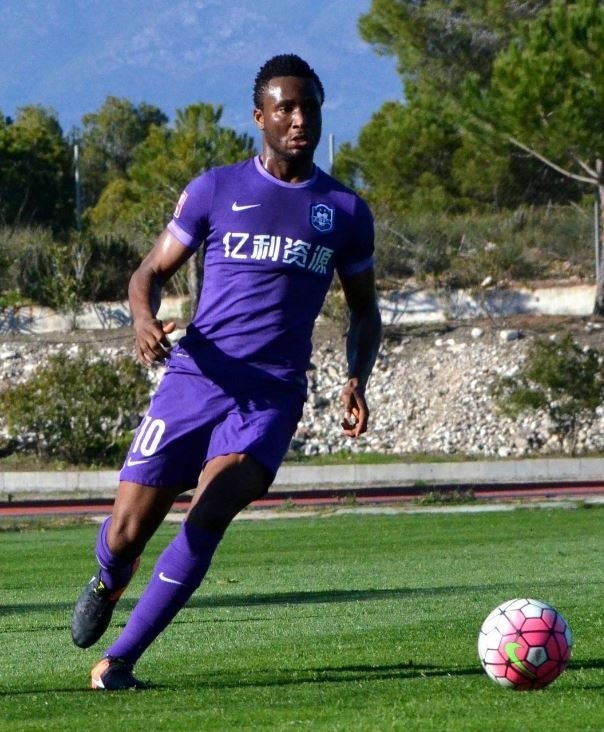 The long wait to see John Mikel Obi back in action is almost over as the former Chelsea star has now returned to training in China with his team, Tianjin TEDA. Mikel sustained an abdominal strain that forced him to take a break. His return is a big boost for Nigeria's Super Eagles ahead of their crucial double header clash against Cameroon in a 2018 World Cup qualifier in August. According to Chinese daily Sports Enorth, Mikel who also doubles as Tianjin TEDA's captain, joined up with the rest of his club teammates Friday evening and trained alone with the club doctors, but will play no part in Sunday's home clash against Shandong Luneng. But he is expected to play a part in Tianjin TEDA's next game against Jiangsu Suning on the 14th of July, 2017. Mikel's last appearance for Tianjin Teda was in their 2-0 victory over Chongqing Lifan in April in a Chinese Super League clash. He has made just three appearances since he joined the club as a free agent from Chelsea in January.